If you have been involved in an auto accident or sustained a personal injury in Carmichael, schedule a free consultation now by calling 916.921.6400. I’m Ed Smith, one of the most experienced and highly rated personal injury attorneys assisting victims in Carmichael, California. I am personally involved with your case from start to finish and work hard to get you the settlement or verdict which you deserve. Selecting a personal injury attorney is not an easy task. There are thousands of personal injury attorneys and auto accident attorneys in California, many of whom offer to accept cases in Carmichael. Choose an attorney who cares about you, your family, and your needs. Double check that the lawyer has a history of taking cases to trial if necessary. Use an attorney with a proven history of high verdicts and settlements. For more tips on selecting an attorney to represent you please read these tips to finding a great personal injury lawyer, or watch my YouTube video. We work for you and your family to get the best outcome. My firm is known as the "personal" personal injury law firm because we take the time to get to know you, your background, your hopes and your dreams. We take satisfaction in helping you and your family find positives in what could otherwise be a medical, emotional and economic disaster. That said, here is a little more information about us. I have been handling ONLY personal injury cases since 1982. I believe in a holistic approach to personal injury cases. Our staff is like a family here. I am a member of Consumer Attorney's of California, The Million Dollar Advocates Forum, The Brain Injury Association of California as well as the Capital City Trial Lawyers Association. You can see our ratings on Yelp and Avvo. I've written several books on personal injury law on Amazon.com including The Ultimate California Auto Injury Handbook and The California Motorcycle Accident Handbook. Here are some of our past verdicts and settlements. To see all of our testimonials please see our testimonials page. Whether you're commuting to work or on your way to Ancil Hoffman Park, accidents occur on the streets of Carmichael. One of the most common accidents is rear-end accidents. Often, rear-end accidents take place at intersections. Some of Carmichael's larger intersections include streets which intersect with Manzanita Avenue and Fair Oak Boulevard. Other busy roads include Arden Way, Oak Ave, Marconi Ave, El Camino Ave, Walnut Ave, Winding Way, Locust Ave, Cypress Ave, Engle Rd, Landis Ave, and California Ave. 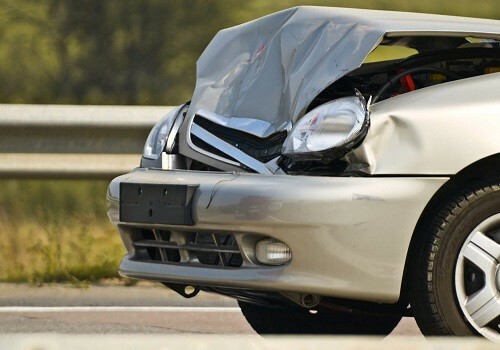 Car crashes result in a wide variety of injuries from cuts and bruises to traumatic brain injury and even death. If you have been injured due to a collision in this area or are a Carmichael resident who was hurt while out of town please feel free to call me for a free consultation today. Our clients are not just injured in vehicle accidents; others have been injured during a slip and fall, swimming pool, harmed by defective products, or need help collecting workers' compensation. A full list of our practice areas is available here. I’m Ed Smith, a car accident and personal injury lawyer in Carmichael. If you have been hurt in a car accident, call me at (916) 921-6400 or (800) 404-5400 for free and friendly advice. I’ve helped numerous clients recover the compensation they deserve in all types of motor vehicle accidents, wrongful deaths, and other traumatic injuries. I am a member of the Million Dollar Advocates and the National Association of Distinguished Counsel.